Isn't this house incredible? The interior is just as captivating if you love the Victorian era. You can find more pictures here. Well, if you have not seen it, I recommend renting it. It's especially fun this time of year with the witch theme and all of the beautiful nature cinematography. And of course, there's a love story woven throughout the movie. Gotta have the love story, right? Oh, and the soundtrack is great too! Anyone else love this movie? Pratical Magic is one of my very favorite movies. I too have all of my Victoria magazines. I could never ever through them out. So excited it is coming back!! I loved the set of this movie and I still DROOL over that kitchen. I have all the old Victoria's too and that one in particular is well worn, with me thumbing through it time and again. Isn't it sad that it was all just torn down? Ugh! I didn't love the story of the movie all that much, thought it could've been better, but the acting and the set are so fantastic that it doesn't matter! It's funny, I was just thinking about that movie today...it's that time of year I guess. Yes...thrilled the Victoria will rise from the ashes! 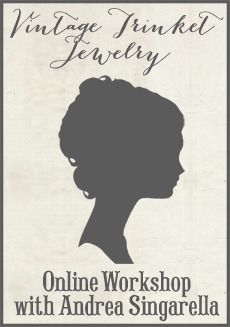 Oh my goodness Andrea, My tummy just took an flip, when I read this post! 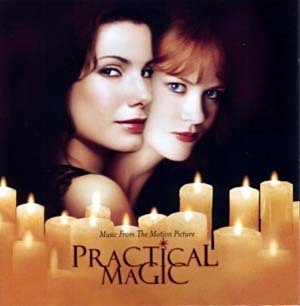 Practical Magic has been my favorite movie about ten years now!! I adore it and it is made in such a beautiful ways. My wishes would be too the same, except that I have three sisters. I love Sally's Verbena shop, and while and still one of my dreams is to establish an natural body products brand. I have even tried to brew some body products and it is very lovely indeed! The soundtrack is one of my favorites, when I start listen it, I can not stop playing it again and again. I think the books was not near as good as the movie, but still I have read it about three times. I really like the film. It is full of hope. as to the magazines if you ever need to find them a new home! you do not need to look any further, I do not have the room but I would make room gor any book or magazine. read the book--it's also wonderful. i have to say though, that the movie is one that lived up to the book. my halloween treat to myself to watch every october!! I love the movie-except for the cheesy lines when the phone-tree coven gets together. Visually I especially love it-the house, the hair, the clothes,the new england landscape! It's been on cable alot recently, so I must have watched it 3 times in the last 6 weeks. I love this movie, and i also highly recommend the book. Alice Hoffman is my go-to writer--i pick her up whenever i want to read something REALLY GOOD. I still have that same issue also...at the time my husband and I were building our new home and I dog earred all the pics. of the house. Hoping to have something in my new home that would resemble a portion of it! My kitchen is similar! Love that magazine and that house! One of my favorites and comes out this time of year when I decorate my own house. 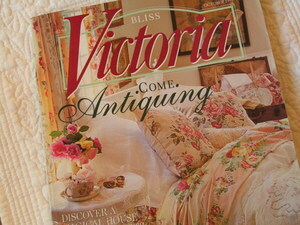 I can't wait to get Victoria again, I bought their very first issue and was very distraught when they stopped printing! This is one of my favorite movies too - love the sybolism in the star - and THAT KITCHEN!!! That is so funny that you should mention that movie! I also have the DVD and you're right, it absoltely is the time of year to get it out and watch it again! I still have the copy of that Victoria magazine and pull it out every once and a while. My favorite part....that YUMMY kitchen! I love this movie. I own it, and just watched it again. I have the soundtrack in my car right now too. Everything about it is magical. I love that house too. I have that Victoria magazine. Good idea to tell everyone to watch it, especially this time of year. I just got back from the pumpkin farm. We were picking out all of the pumpkins for the wedding. When I got home, a package from 100 wishes was waiting for me. Yay!! Thanks for doing such a great job with the packages. I love it. I LOVE everything about this film. I was expecting my fourth son and he is named Aidan after the leading man. It's the kind of film that encompasses everything that makes me tick. I can't believe they tore down the house! What a waste! You must already know this- that Victoria magazine is coming back next month? I have already subscribed and am waiting patiently! I discovered it shortly before they folded last time but I still have the few issues I bought then. This movie and Hope Floats are my all time favorites. They are so much so that I still have the VHS tapes of each of them! I feel old saying VHS tapes, who still has these? I don't even have a VCR to watch them, but I can't give them up because I love the movie too much! It has been playing on HBO this past month, too. I still watch it every time it comes on! Yes - love this movie! I remember wishing I had aunts like that! ooh!! I love that movie too! the house is gorgeous! I LOVE this movie as well!!! Always wished for the exact same things! I didn't know they tore down the house after the movie...that is just so sad! It was such a fabulous house. I have stacks and stacks of old victoria's too. I saw on someones blog? how they took magazine articles that they loved and placed them into 3 ring binders...this helped turn huge stacks of magazines into just a little. I thought it was such a fabulous idea! Really - it is my DREAM house. Love the movie as well, it's been on my blog sidebar for months to remind me to order it on DVD. I'd better go do that now - my other Halloween favorite is Hocus Pocus - Kathy, Bette and Sarah Jessica are so much fun! 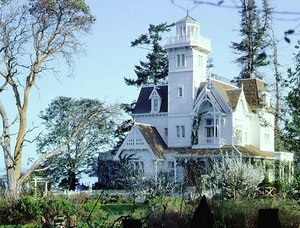 I so love this movie and their house i always wanted the house and the room with all f the herbs and plants. Just beautiful, just love this movie and the actresses in it.